The sankirtana devotees are very very dear to Krishna. 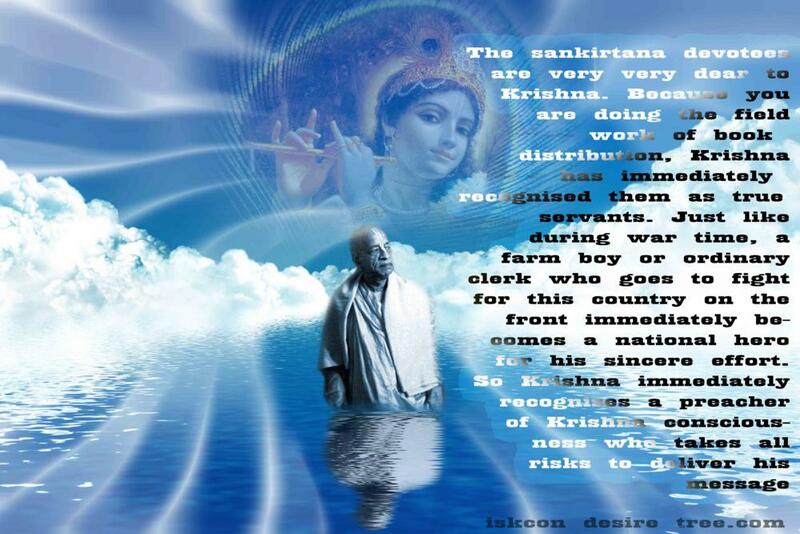 Because you are doing the field work of book distribution, Krishna has immediately recognised them as true servants. Just like during war time, a farm boy or ordinary clerk who goes to fight for this country on the front immediately becomes a national hero for his sincere effort. So Krishna immediately recognises a preacher of Krishna consciousness who takes all risks t deliver his message.